- Step2: Click “Docs”, you will see a list of all the document. - Step3: Use CTRL+F to find “CAN-BUS Shield”, click to open it. 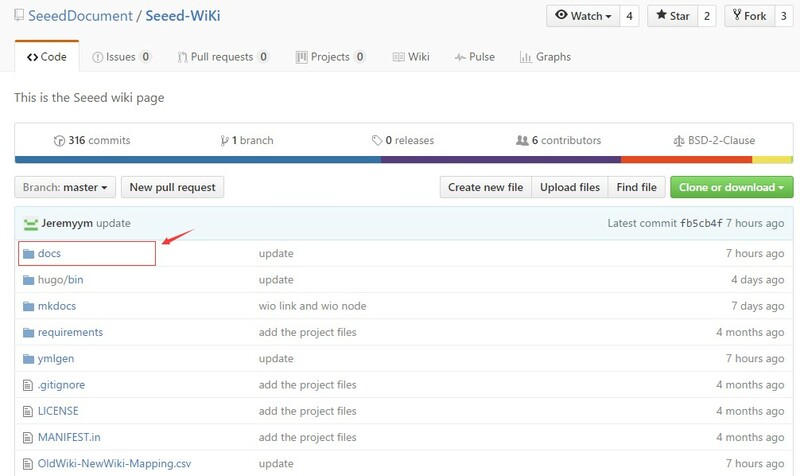 This tutorial will show you how to edit a document of our wiki system. We would like to thank you in advance if you have any idea and willing to update the document as a contributor. In this tutorial, you are going to visit the github repository of our wiki system, in which there are hundreds of documents which were writen in markdown format and the number is increasing as we are still in the process of document migration. 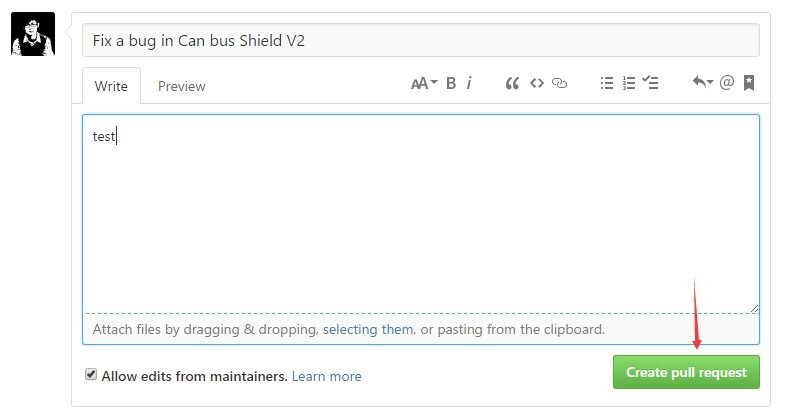 This time we would like to take CAN-Bus shield for example to show you how to modify a document. Firstly, a github account is needed, if it is your first time to use github, please go to github.com to register. 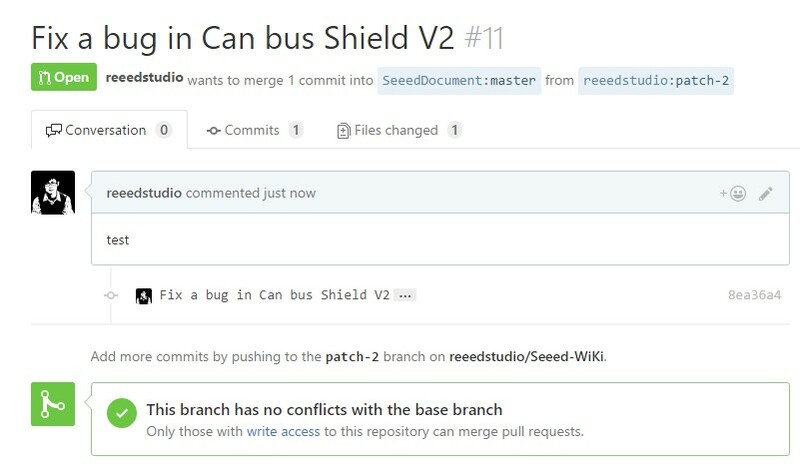 If you already have a github account, click the url: http://wiki.seeed.cc/CAN-BUS_Shield_V1.2/ to visit the wiki page for CAN-Bus Shield. Step1: Click the the github icon on the right up corner, it will lead you to the github repository main page of the whole documentation system. Step4: Click the up right pencil icon so that you can edit the document. Step6: You need to re-input what you have amended, don’t worry, you will complete soon. Step7: Click the icon “Create pull request”. Then we will receive the amendment application. We will review your amendment as soon as we can, once the review is done, you will find the update in the page of CAN-BUS shield. If this is too complicated to you, you are also welcome to fill in the survey at the end of the document or write to us at Jeremy.xiao@seeed.cc or Loovee@seeed.cc. We are looking forward to your message! Happy hacking!